Well maintained townhouse with an indoor garage, large garden and storage shed. 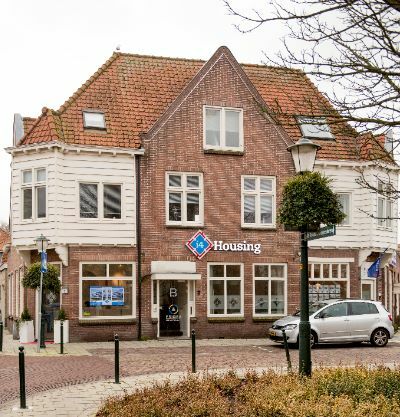 Located close to the American School, shops and exit roads to Amsterdam and The Hague. This property has been renovated in 2011 and can be rented including the present furniture. Dominee Honderslaan 42242 RH Wassenaar	€ 2.500,- p.m.
entrance with stained glass windows, guest toilet and doors towards the modern open kitchen facing the front of the house with all appliances, large L-shaped livingroom with fireplace, double doors towards the terrace in the rear garden and en suite to another room at the backside. This is a perfect study/tv-room or home cinema. Indoor garage with washer and dryer. landing, large bedroom at the back with a dressingroom, modern bathroom including a walk-in shower, bath, toilet, double washbasin and a towelheater, frontbedroom and a front sideroom. spacious landing, can be used as a game room and a bedroom with Veluxwindow. Lots of storage.